May I present Lady Red-Belly. 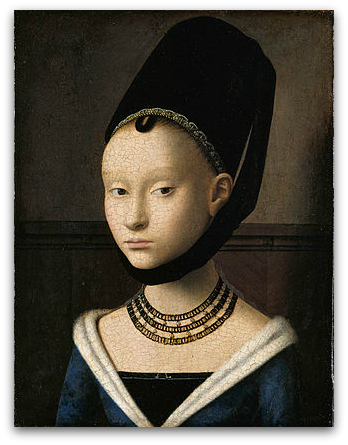 She reflects the Gothic ideal of elongated facial features, narrow shoulders, tightly pinned hair and an almost unnaturally long forehead, achieved through tightly pulled-back hair which has been plucked at the top. It is an interesting difference. Adults are mainly light gray on the face and underparts; they have black and white barred patterns on their back, wings and tail. Adult males have a red cap going from the bill to the nape; females have a red patch on the nape and another above the bill. The reddish tinge on the belly that gives the bird its name is difficult to see in field identification. 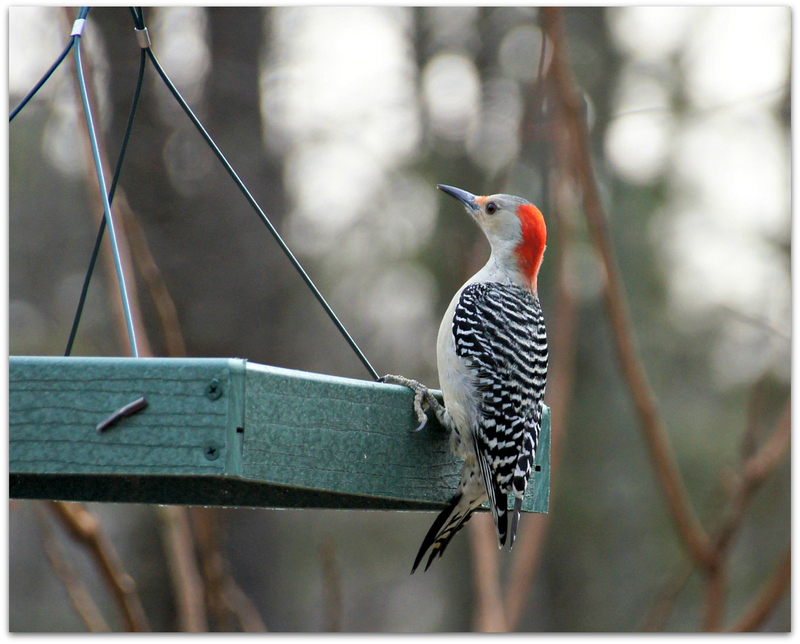 Female Red-bellied Woodpecker at the platform feeder. 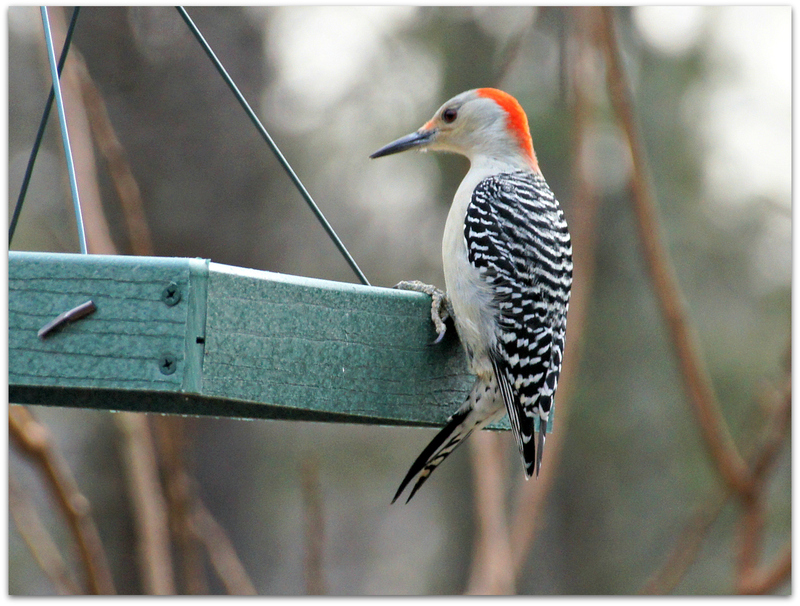 This entry was posted in Uncategorized and tagged birds, medieval, Red-bellied Woodpecker on January 7, 2015 by Amy.